There are three bedside tests we have to evaluate for pneumothorax: the physical exam, chest X-ray (CXR) and ultrasound (US). The best one we have is undoubtedly US. Learning the basics of this exam is fairly easy, with studies showing that it takes a small amount of didactics and hands-on, and has a very high retention rate. 1-3 That being said, there are a few nuances that you should know before basing your clinical management off of your US. With the probe in the sagittal orientation, identify the ribs in cross section, and look for a white line underneath them. This white line will always be there, and represents the visceral-parietal pleural interface (if there is no PTX) or just the parietal pleura (if there is a PTX). By merely looking at the line itself you won’t be able to tell if there is a PTX, because it’s appearance looks identical in both a PTX and without a PTX. What you’re evaluating is the back and forth movement of that white line. If you see that white line moving, the visceral and parietal pleura are touching (no PTX). If that white line is not moving, you may have a PTX. Why do you always have that same white line even if you do or do not have a PTX? Well, when the pleura are opposed the distance between the two lines is too small for the machine to pick up their signals individually, but what it can detect is the relative motion between the two. Now, when you have a PTX, the visceral and parietal pleura will be separated by air, which blocks the sound waves from reaching the visceral pleura. So you will be seeing the parietal pleura (which is stuck on the ribs) without the motion of the visceral pleura just underneath it. Even though the visceral pleura might be 1 mm or 100 mm below the parietal pleural there will be a layer of air between them, making that visceral pleura invisible to the ultrasound machine. Where to scan to look for lung sliding. Most of the current literature teaches that the evaluation for PTX should begin between the 2nd-4th ribs at the mid-clavicular line.7 If you have a hemodynamically unstable patient in whom you suspect a PTX as the cause of said hypotension, you can pretty much look anywhere in the anterior chest wall. A PTX large enough to cause shock is very unlikely to not be identified there.8 However, if you want to increase your sensitivity, you might want to look a bit lower. Let me explain: if you have a patient that isn’t in extremis, you should probably make sure to look at whatever part of the chest is most anterior. In supine patients, you should start your evaluation around rib spaces 5-8. One study found that in supine trauma patients, most pneumothoraces were seen in between rib spaces 5-8 bilaterally, not the commonly taught 2nd-4th IC spaces.7 Lichtenstein found that 38% of supine patients with PTX had the PTX localized in the lower half of the lung (the rest had it over the entire anterior wall, including the lower half).9 Make sure you look at all of the lungs, including laterally and superiorly, since you can only rule out a PTX in the rib space you see lung sliding. M-mode is an alternative way for the ultrasound machine to interpret what it hears. Instead of playing a real-time image, what it does is it graphs out time, in the x-axis, over movement and depth in the y-axis. So to get the proper m-mode picture, you’ll place the m-mode marker over the pleural line in an intercostal space. If you get a “stratosphere” or “barcode” sign, it means that the US machine isn’t detecting any movement of the pleural line, and implies PTX. If you get a “sandy beach” or “seashore” sign, you’re seeing movement of the pleural line, implying the absence of a PTX. That gravely appearance of the “beach” represents movement of the pleural line. No movement looks like straight lines. M-mode (or motion mode), is a technique that previously was taught to be useful in the evaluation of a PTX. In fact, many publications that speak on the topic report that m-mode is a useful adjunct in the evaluation of a PTX. 5,10-13 (Update: 7/3/18). Previously, I was pretty much a hater for using m-mode in the evaluation of a pneumothorax. So much so, in fact, that I did a study on it. I sent a quiz to 140 physicians and randomized them to get just the ultrasound clips or the ultrasound clips and the corresponding m-mode image of patients with and without a traumatic pneumothorax. 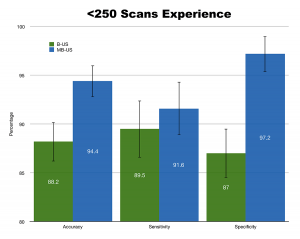 Turns out if you’re inexperienced (defined as having done <250 total ultrasounds in your life), the addition of m-mode increases your specificity and overall accuracy. Take that information with a grain of salt, though. This was essentially a convenience sample of residencies and people that I knew, and is only image interpretation, not image acquisition (which is a completely different skill set). Here’s the link. There have, however, been a few case reports of false-positives. One study reported a pseudo-lung point on the left side of the chest that was due to the lung coming into contact with the heart. 20 A study by Soldati et al 19 reported that in trauma patients with suspected PTX, their one false-positive lung point was due to the same issue. Besides the border of the heart and lung, the border between the diaphragm and the lung can also create a false-positive lung point 21 Oh, and the sensitivity of the lung point is really bad so it can’t be used to rule out a PTX. 9,12 Now, I’m not saying that the lung point is useless. I look for it in all of my patients in whom I suspect a PTX. What I’m saying is that we need more data behind the lung point before we can say that it is 100% specific for a PTX. If you have a patient with subcutaneous emphysema, all bets are off. Air in the subcutaneous tissue will cause a false pleural line with occasional “b-lines” to be generated above the pleural line, and obscure the actual pleural line. If you see what looks like a pleural line above the ribs, there is subcutaneous air obscuring your actual pleural line. Those “b-lines” that are generated above the pleural line have been dubbed “E-lines”. If you see this finding, your ultrasound is pretty much useless in the eval of subcutaneous emphysema. 22 (In the gif, the highlighted blue line is the subcutaneous air) Also, it should go without saying, but if you there’s a dressing or bandage covering the chest, you won’t be able to use US either. Abbasi S, Farsi D, Hafezimoghadam P, Fathi M, Zare MA. 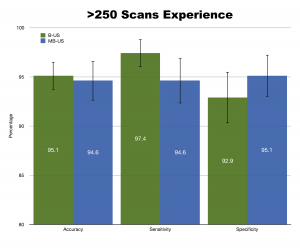 Accuracy of emergency physician-performed ultrasound in detecting traumatic pneumothorax after a 2-h training course. Eur J Emerg Med. 2013;20:(3)173-7. Krishnan S, Kuhl T, Ahmed W, Togashi K, Ueda K. Efficacy of an online education program for ultrasound diagnosis of pneumothorax. Anesthesiology. 2013;118:(3)715-21. Lichtenstein DA, Menu Y. A bedside ultrasound sign ruling out pneumothorax in the critically ill. Lung sliding. Chest. 1995;108:(5)1345-8. Lichtenstein DA. Ultrasound in the management of thoracic disease. Crit Care Med. 2007;35:(5 Suppl)S250-61. Lichtenstein DA, Lascols N, Prin S, Mezière G. The “lung pulse”;: an early ultrasound sign of complete atelectasis. Intensive Care Med. 2003;29:(12)2187-92. Mennicke M, Gulati K, Oliva I, et al. Anatomical distribution of traumatic pneumothoraces on chest computed tomography: implications for ultrasound screening in the ED. Am J Emerg Med. 2012;30:(7)1025-31. Noble VE. Think ultrasound when evaluating for pneumothorax. J Ultrasound Med. 2012;31:(3)501-4. Barillari A, Kiuru S. Detection of spontaneous pneumothorax with chest ultrasound in the emergency department. Intern Emerg Med. 2010;5:(3)253-5. Johnson A. Emergency department diagnosis of pneumothorax using goal-directed ultrasound. Acad Emerg Med. 2009;16:(12)1379-80. Lichtenstein D, Mezière G, Biderman P, Gepner A. The “lung point” an ultrasound sign specific to pneumothorax. Intensive Care Med. 2000;26:(10)1434-40. Adhikari S, Zeger W, Wadman M, Walker R, Lomneth C. Assessment of a human cadaver model for training emergency medicine residents in the ultrasound diagnosis of pneumothorax. Biomed Res Int. 2014;2014:724050. Agricola E, Bove T, Oppizzi M, et al. “Ultrasound comet-tail images”: a marker of pulmonary edema: a comparative study with wedge pressure and extravascular lung water. Chest. 2005;127(5):1690-5. Lichtenstein D, Mezière G, Biderman P, Gepner A. The comet-tail artifact: an ultrasound sign ruling out pneumothorax. Intensive Care Med. 1999;25:(4)383-8. Sperandeo M, Varriale A, Sperandeo G, et al. Characterization of the normal pulmonary surface and pneumonectomy space by reflected ultrasound. 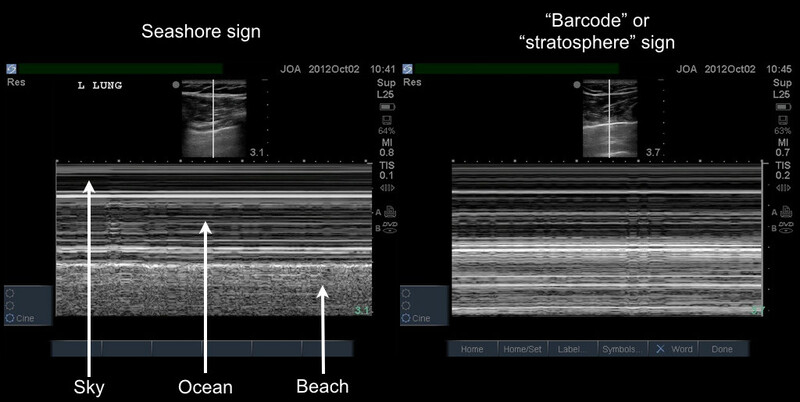 J Ultrasound 2011;14:22-7. Cavaliere F, Zamparelli R, Soave MP, Gargaruti R, Scapigliati A, De Paulis S. Ultrasound artifacts mimicking pleural sliding after pneumonectomy. J Clin Anesth. 2014;26:(2)131-5. Soldati G, Testa A, Sher S, Pignataro G, La Sala M, Silveri NG. Occult traumatic pneumothorax: diagnostic accuracy of lung ultrasonography in the emergency department. Chest. 2008;133:(1)204-11. Gillman LM, Alkadi A, Kirkpatrick AW. The “pseudo-lung point” sign: all focal respiratory coupled alternating pleural patterns are not diagnostic of a pneumothorax. J Trauma. 2009;67:(3)672-3. 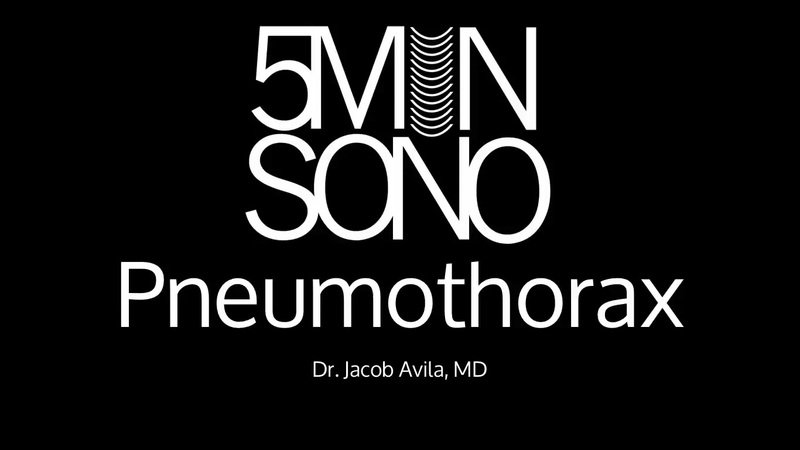 Volpicelli G. Sonographic diagnosis of pneumothorax. Intensive Care Med. 2011;37:(2)224-32.
localised surg emphysema (lower ribs). He was seated erect and had good sliding at ribs 2-3, but at CT, had a small apical PTX tucked under his clavicle on that side. Missed it with US!